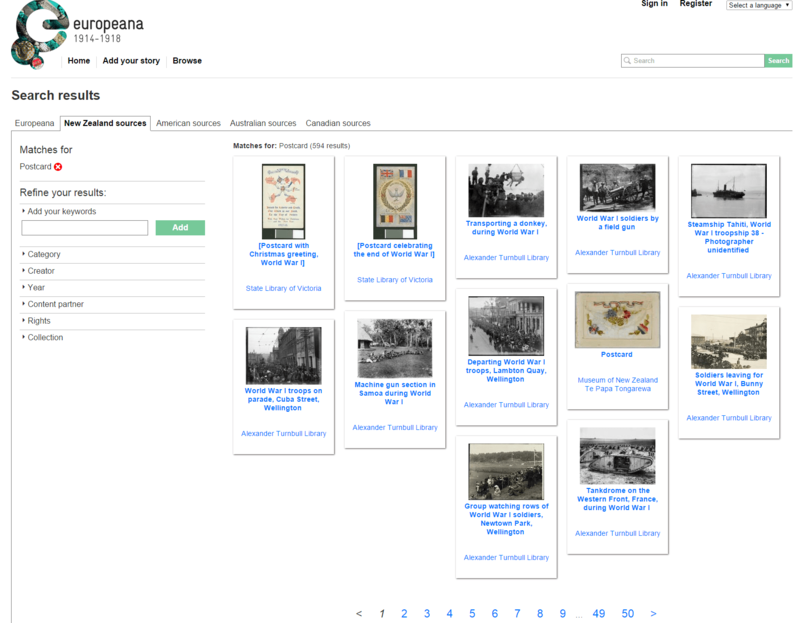 Discover this great resource on Europeana and see what you can find for your family, social, local or special interest history project. Posts from WW1 are such a touching and although often censored, insightful if rare source from World War 1. I have one here(which was sent by my Grandfather to his father) and is clearly dated and in his own hand in pencil. He had kept it all those years in almost mint condition. 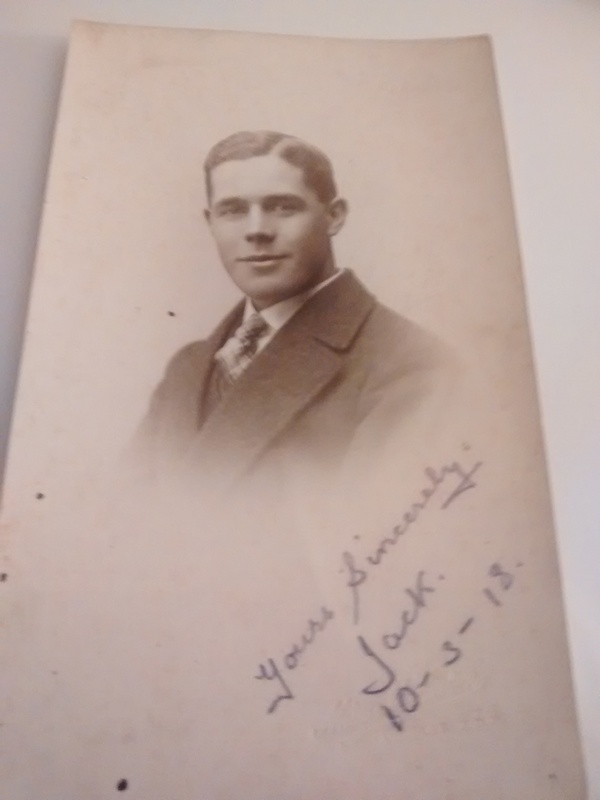 Amazing that it has survived so well in amongst the photos he kept so preciously stored away of his pals from world war one. The Europeana collection has a great international perspective as well. It has struck me that an analysis of their contents would be quite a digital project in its own right. But enough to do for the moment. The great news is that on Europeana a resource popped up this morning that at least I had not seen before. The contemporary images as well as the words really help paint a picture of how despite the odds and perhaps just because of them, those spartan communications back home to sweethearts, friends, family and loved ones mattered so much to the troops when and if they got chance to post them via the field stations. ages of the reverse and this one far from being decorative was obviously state endorsed morale boosting propaganda and news . The sub-title is chilling “Wire not Removed” and relates to the horrific barbed war that millions of men lost their lives on. So it’s not all cheerful but I don’t think I have found another piece of ephemera that has moved me quite so much. Maybe it’s just the stark harsh reality of the image. 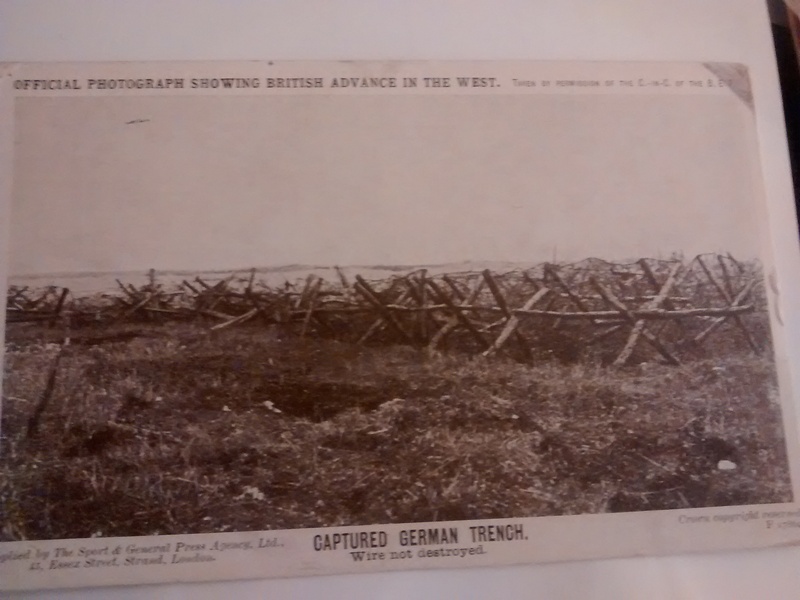 Before we move on to what really matters, how you can find postcards to help your research, here are a couple of pictures from my Grandfather’s collection they show the entire cycle, he did thankfully survive the war and was a modest man with never any reference to glory or valour. He was just 18 years old when he joined-up. 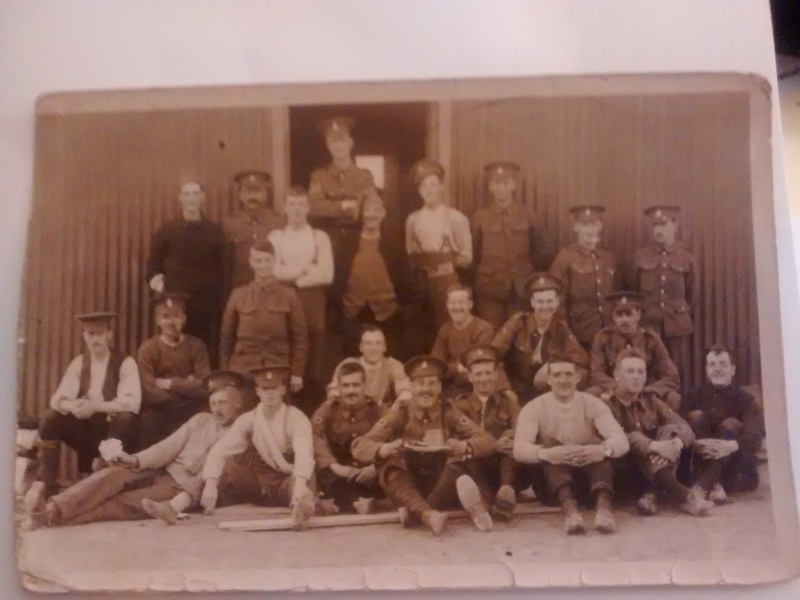 Many of the photos we have are in Postcard format with the photographs printed on Postcards, the pals pictures are often signed and dated when on leave or a brief pass. 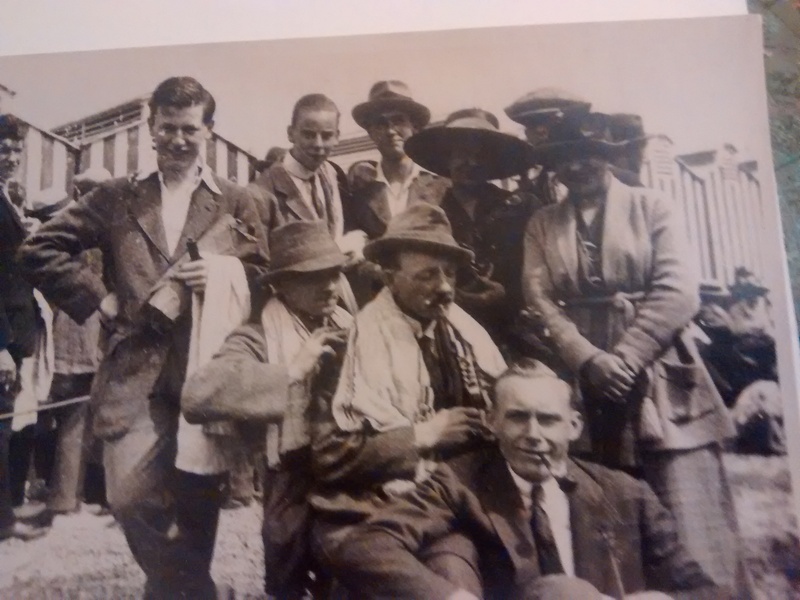 I really like the ones he kept on the beach with some of his army pals, for a quite reserved time you can see the closeness and some joy at being home, they were the lucky ones. Here is the screenshot and web link to the fantastic Europeana Collection and a few pointers as to the art of the possible with this tool! Enjoy and explore, you never know what you might find. I found a complete Painting of one of my family for whom no photos exist by just such a chance in one of the BBC Collections. So grab yourself an hour or two and see what you can find. here will be other items as well you may find. It is a great initiatve and project providing as open acceess for us all as they can, which is excellent news. 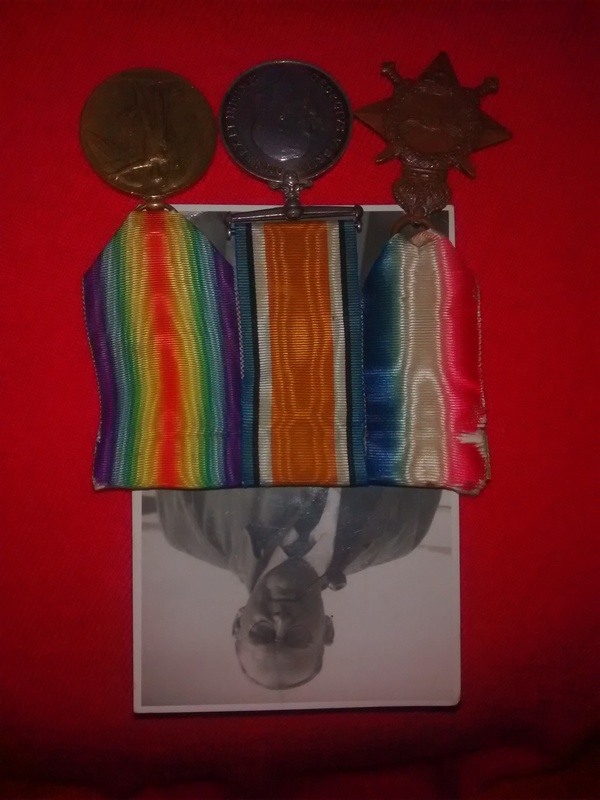 Here is the link, you can customise the search for other artefacts,the current search is WW1 postcards 1914-1918 and we will follow-up his post to suggest some ways you can share your artefacts with the wider world as well. Its worth registering and it is easy to use. Browse or search from one of the tabs depending on your interests. Try out a few searches and see wat you can find, you may need to experiment a little. Once you have identified an item you are interested in you can bookmark using Evernotes, Pocket or your favourite tools, link using the ability to copy the persistent link (meaning it wont change and stop working at some future point) or simply download the image using the text catalogue entry as part of your notes and of course checking any particular restrictions there maybe on a collection, museum or institution you are selecting from. If you have some information or history to share in respect of any item you can also as a registered user, submit your comments for curation, Its great if you have some facts or narrative that adds more meaning to the object. As ever just try to be certain of what you post because some people can get a little exercised if its wrong. But whats the point of having these vast collections if we don’t use them and share some of what we discover. 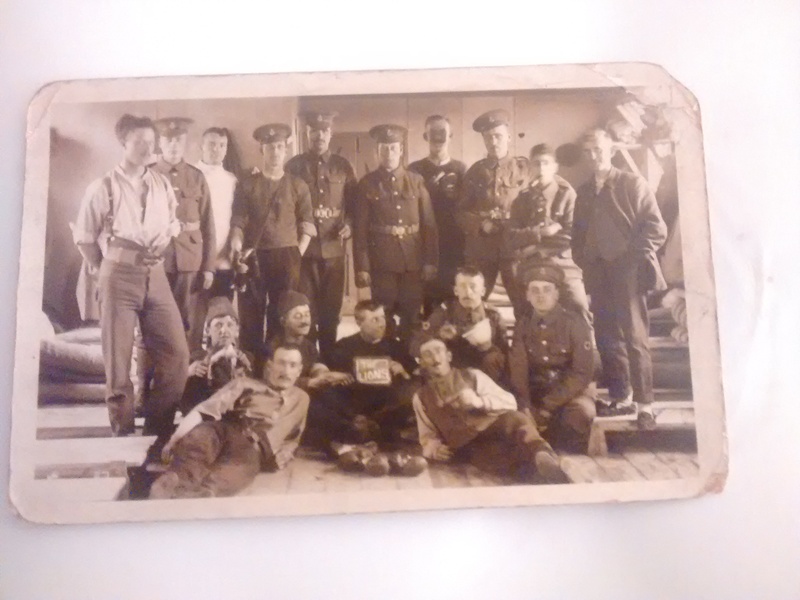 Also check your own postcards, how many have actually survived since WW1? Has anyone got the version you have discovered etc. But this is especially powerful given all the major nations that participated from the allied perspective are also represented on the tabs and can be searched by us all wherever and when we want to. Fantastic is what we think, but more importantly can you pass the word around. I would love to see this rich visual resource get the utilisation it richly deserves. I will certainly be checking out my Grandfather’s UK Postcard. Here is the downloaded image itself, different collections may have different rights but in most cases being 100 years they are out of copyright so as long as you use them for a legal and reasonable purpose all will be fine. But check the terms, some collections have different restrictions. this one was a Christmas postcard for 1919, with the four flags and the dove of peace, it seemed a nice one to contrast my captured german trench. Dove with olive branch inside laurel wreath, the words “June 28th, 1919 / Peace” above and below dove. Around the outside of the wreath Christmas Greetings / The Welcome Message. The flags of Great Britain, France, Belgium and (WRONG) its Australian Flag?? New Zealand at each corner of card. 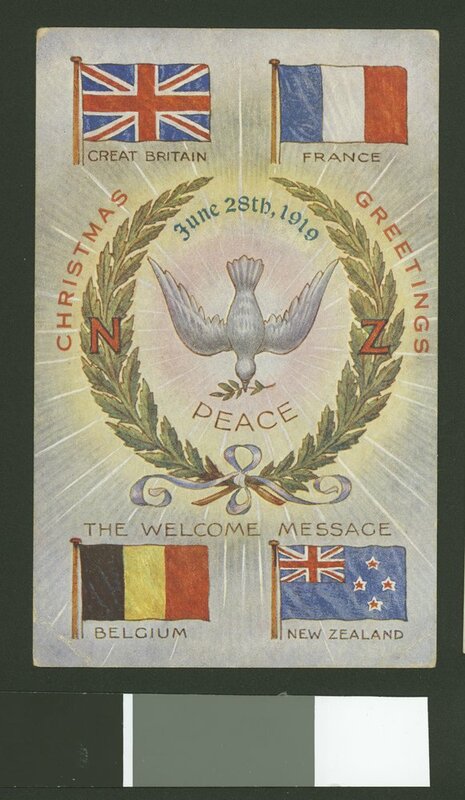 The card was designed and printed by J J Mckenzie who was a returning soldier and would of course have known more than most of us how much that peace was needed and should be celebrated. If you have precious cards to share and a story to tell then let us know. If you want to create your own curated collection and ensure that whatever happens your precious items are preserved for posterity and shared with the wider world, there are a number of ways you can create your own individual, family or group collection. Personally I have decided to place out in the ether the precious objects digitally as much as possible, in the hope that whatever happens within our family and enclave they may just connect with some research that might help another along the way and survive way after my time is over, I hoe thatwill be quite some time by the way. These rich ephemeral objects have much to teach us all and being so visual are more readily engaged with by a wider range of people with diverse interests than the individuals in each of our family trees. Hope you enjoy and if you would like to subscribe to a few more of the gems we aim to discover and reveal in all their glory then either follow us by email subscription, or contact us here . We will not pester you but its an easy way not to miss the resources we find and the tools and techniques we all aim to share with like-minded souls. Good luck with your project.